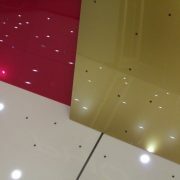 Extra interchange dance floor panels exclusive to the Interchange LED Dance Floor range. A cost effective way of offering various colour dance floors for a fraction of the cost. Use the colour tiles to also create your own patterns.